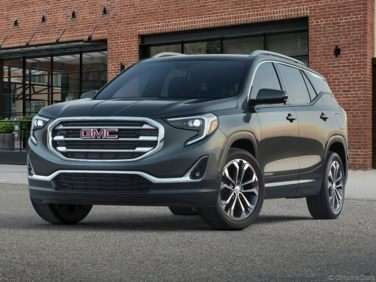 The standard features of the GMC Terrain SLT Diesel include 1.6L I-4 137hp intercooled turbo engine, 6-speed automatic transmission with overdrive, 4-wheel anti-lock brakes (ABS), side seat mounted airbags, curtain 1st and 2nd row overhead airbags, airbag occupancy sensor, automatic air conditioning, 18" aluminum wheels, cruise control, ABS and driveline traction control, all-wheel drive. 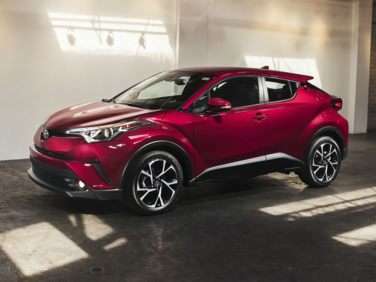 The standard features of the Toyota C-HR Limited include 2.0L I-4 144hp engine, 2-speed CVTi-S CVT transmission with overdrive, 4-wheel anti-lock brakes (ABS), side seat mounted airbags, curtain 1st and 2nd row overhead airbags, rear side-impact airbag, driver knee airbag, airbag occupancy sensor, automatic air conditioning, 18" aluminum wheels, cruise control, All-Speed Dynamic Radar Cruise Control distance pacing, ABS and driveline traction control, VSC electronic stability. 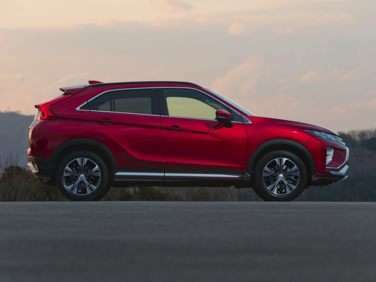 The standard features of the Mitsubishi Eclipse Cross SEL include 1.5L I-4 152hp intercooled turbo engine, 8-speed CVT transmission with overdrive, 4-wheel anti-lock brakes (ABS), side seat mounted airbags, curtain 1st and 2nd row overhead airbags, driver knee airbag, airbag occupancy sensor, automatic air conditioning, 18" aluminum wheels, cruise control, ABS and driveline traction control, four-wheel drive. 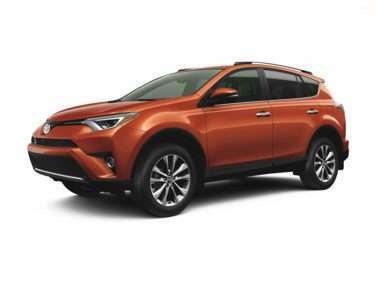 The standard features of the Toyota RAV4 XLE include 2.5L I-4 176hp engine, 6-speed automatic transmission with overdrive, 4-wheel anti-lock brakes (ABS), side seat mounted airbags, curtain 1st and 2nd row overhead airbags, driver knee airbag, airbag occupancy sensor, automatic air conditioning, 17" aluminum wheels, cruise control, distance pacing, ABS and driveline traction control, all-wheel drive. 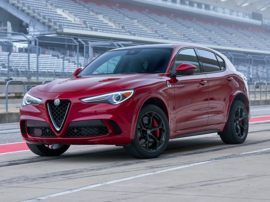 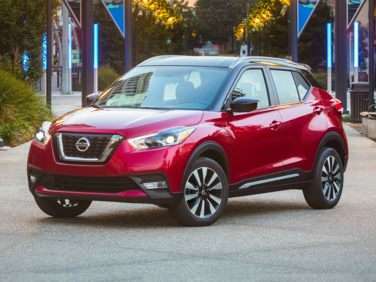 The standard features of the Nissan Kicks SR include 1.6L I-4 125hp engine, 2-speed CVT transmission with overdrive, 4-wheel anti-lock brakes (ABS), side seat mounted airbags, curtain 1st and 2nd row overhead airbags, driver knee airbag, airbag occupancy sensor, automatic air conditioning, 17" aluminum wheels, cruise control, ABS and driveline traction control, electronic stability. 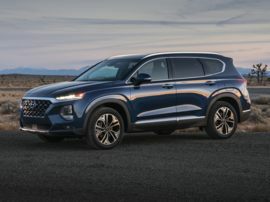 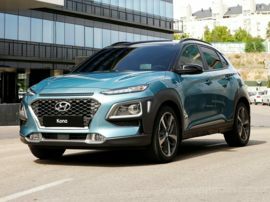 The standard features of the Hyundai Kona Ultimate include Gamma 1.6L I-4 175hp intercooled turbo engine, 7-speed auto-shift manual transmission with overdrive, 4-wheel anti-lock brakes (ABS), integrated navigation system, side seat mounted airbags, curtain 1st and 2nd row overhead airbags, airbag occupancy sensor, automatic air conditioning, 18" aluminum wheels, cruise control, ABS and driveline traction control. 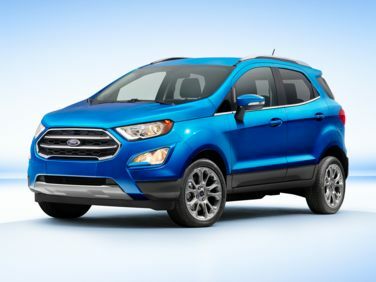 The standard features of the Ford EcoSport Titanium include 2.0L I-4 166hp engine, 6-speed automatic transmission with overdrive, 4-wheel anti-lock brakes (ABS), integrated navigation system, side seat mounted airbags, Safety Canopy System curtain 1st and 2nd row overhead airbags, rear side-impact airbag, driver and passenger knee airbag, airbag occupancy sensor, automatic air conditioning, 17" aluminum wheels, cruise control, ABS and driveline traction control. 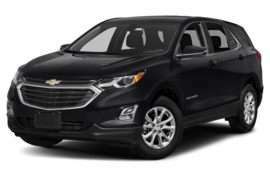 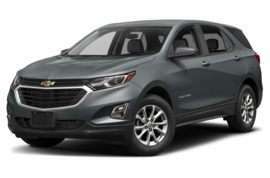 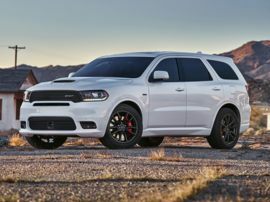 The standard features of the Chevrolet Equinox LS include 1.5L I-4 170hp intercooled turbo engine, 6-speed automatic transmission with overdrive, 4-wheel anti-lock brakes (ABS), side seat mounted airbags, curtain 1st and 2nd row overhead airbags, airbag occupancy sensor, air conditioning, 17" aluminum wheels, cruise control, ABS and driveline traction control, all-wheel drive. 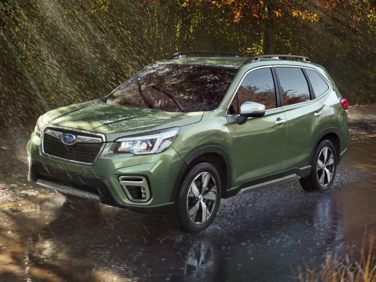 The standard features of the Subaru Forester Touring include 2.5L H-4 182hp engine, 7-speed Lineartronic CVT transmission with overdrive, 4-wheel anti-lock brakes (ABS), integrated navigation system, side seat mounted airbags, curtain 1st and 2nd row overhead airbags, driver knee airbag, airbag occupancy sensor, automatic air conditioning, 18" aluminum wheels, cruise control, distance pacing, ABS and driveline traction control. 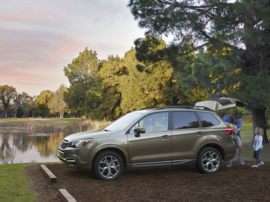 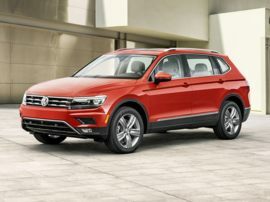 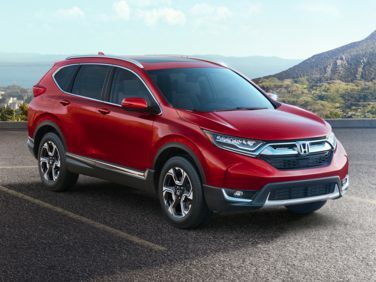 The standard features of the Honda CR-V EX-L include 1.5L I-4 190hp intercooled turbo engine, 2-speed CVT transmission with overdrive, 4-wheel anti-lock brakes (ABS), SmartVent side seat mounted airbags, curtain 1st and 2nd row overhead airbags, airbag occupancy sensor, automatic air conditioning, 18" aluminum wheels, cruise control, Adaptive Cruise Control with Low-Speed Follow distance pacing, ABS and driveline traction control, all-wheel drive.